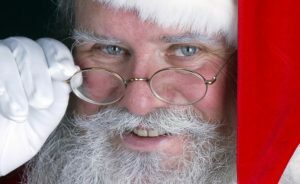 Watch Santa make pizza and have your photo taken with him! DeLorenzo’s The Burg 8919 New Falls Rd. Levittown, PA 19054 215-943-2605 Santa will make a stop between 5:30 – 7:30 p.m. Traditional Sunday Gravy Dinner and photos with Santa! Reservations Recommended $25 Adult, $10 Child Revere Ristorante Italiano 802 River Rd. Ewing, NJ 08628 609-882-6367 3 p.m. – 8 p.m. Santa arrives at 4:30 p.m.
Join us for our annual event! Date: Sunday, November 19, 2017 Where: Re-Max Tri County, 2275 Rte. 33, #308, Hamilton Township, NJ 08690 Time: 11 a.m. – 2 p.m.
Join us for our annual free photos with Santa event. Date: Sunday, November 20, 2016 Where: Home of Desiree Daniels and Al Sodaro at 2112 Washington Blvd. Robbinsville NJ 08691 Time: 11 a.m. – 2 p.m.
Rock N Roll Fundraiser Featuring Rush to Judgement and Crosswick to benefit the Sunshine Foundation Date: Sunday, December 18, 2016 Where: Cedar Gardens Banquet Hall, 661 NJ-33, Hamilton Township, N.J. 08619 Time: 4-9p.m. Music begins at 5p.m. Fee: $10/ticket. $12/ticket at door. Contact https://www.facebook.com/rushtojudgement/ for details Free Italian buffet catered by Pete’s Steakhouse, Trenton. Date: Tuesday, December 13, 2016 Where: Papa’s Tomato Pies, 19 Robbinsville-Allentown Rd., Trenton, N.J. 08691 Time: 5-8p.m.